NOT TOO long ago, Peter Nasser was weighing just a little over 150kg living an unhealthy lifestyle and now, is a sporting inspiration to many. The Standard Bank 505i IronMan triathlon takes place at Germiston Lake this weekend. Nasser, who weighs 106kg is bursting with pride ahead of the much-awaited Standard Bank 5150 Ekurhuleni Triathlon that roars to life on Sunday 21 October at the Germiston Lake. For the unapologetic Nasser, this year’s edition is about showing “everyone who is overweight that anything is possible. I weighed 150kg and said I would do an IRONMAN and people laughed at me, now I’m 106kg and loving life and can’t wait to cross that finish line and say to myself it was all worth it,” said Nasser. He added that he was using the Ekurhuleni edition to prepare for Buffalo City next year. The event, which has been hosted at Germiston Lake since 2013, has grown into the biggest standard distance Triathlon in South Africa and attracts about 1 400 entrants every year. Nasser is not the only entrant with an inspirational story ahead of the Ekurhuleni course. Recovering drug addict, Sergio Vieira carries a message into Sunday’s event and it’s quite a simple one. It says: “if I can do it, they can too. I want to use the event to positively influence people,” said an upbeat Vieira. For Thozama Ngqakayi, it’s about challenging herself beyond stereotypes. “I want to empower others that want to discover beyond cultural boundaries and personal tragedies.” she said. The 2018 edition of the Standard Bank 5150 Ekurhuleni comes with the introduction of the FUNTRI distance. The FUNTRI is a short distance which allows beginners to enjoy the day in a non-threatening environment. It comprises a 400m swim, 20km cycle and 5km run while the Olympic distance will be 1.5km swim, 40km cycle and 10km run. The IRONMAN sponsorship is a platform for Standard Bank to not only to bring its African story to life, but also create opportunities to engage and connect with communities on matters that matter to both parties. 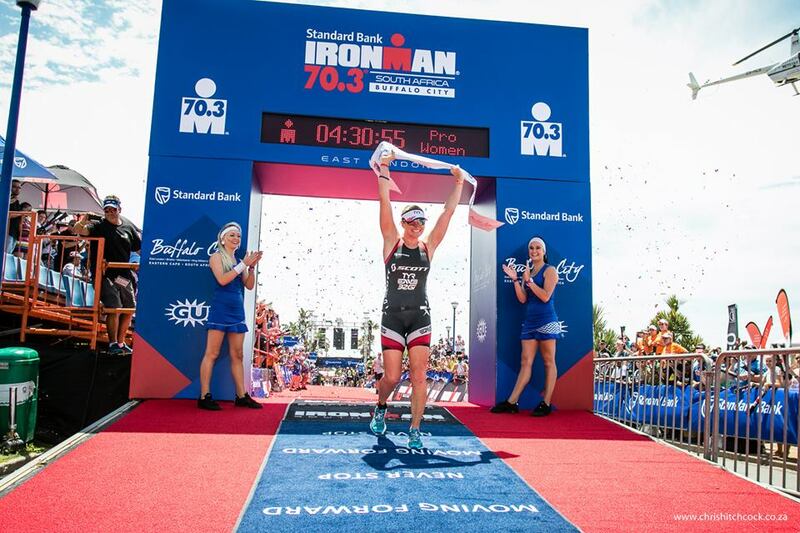 “This agreement with IRONMAN South Africa and the races also allow Standard Bank to connect with cyclists, runners and swimmers. Each year provides Standard Bank an opportunity to reaffirm its commitment to the country’s premier endurance events. Standard Bank’s support of the race is not about accolades, it is about the people that participate, the people that support them, and the people that volunteer to bring it to life,” adds Pheiffer. “These individual athletes’ stories are an indication of their very own sense of passion, endurance and commitment to this very long day. They are an inspiration to very one. We would also like to thank the City of Ekurhuleni and its community for hosting us and supporting all these athletes,” concludes Pheiffer. The triathlon takes place at Germiston Lake, Ekurhuleni from 7am on Sunday 21, 2018.